Choosing the right contractor for work at your home can seem like a challenging task. 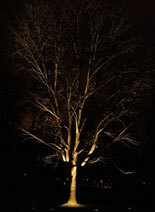 When you have a specialized project such as landscape lighting installation, it is hard to know where to start. When reviewing proposals, remember that the lowest cost is not always the best choice. You will need to factor in the quality of the work, length of warranties, the materials used and operating costs. Make sure the landscape lighting contractors you are talking to are licensed (however, outdoor lighting installers are not required to be electricians). Also, find out who will be doing the actual work in your yard- and inquire about the amount of experience they have. Get references for the contractors. Word of mouth from friends or neighbors is always best, but online customer reviews are a good substitute. Just be sure there are more than one or two reviews. Opt for specialist, rather than generalists. 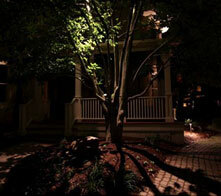 Many general contractors will say that they are qualified for a landscape lighting project. It is likely that they will then subcontract the work to someone else without you having a say in who they select. Though that is not always the case, you may end up paying more for work without knowing for sure who is going to be doing it. It is often best to work directly with a specialized lighting contractor. You should have either a lump sum cost proposal or an itemized cost estimate from each landscape lighting contractor. Make sure that it includes a written warranty. Professional contractors should be willing to guarantee all materials and labor for at least one year. This means that anything that goes wrong due to either faulty materials or improper installation would be replaced at no cost to you. It’s a warning flag if the contractor is not willing to guarantee their work and products. With a specialized company, you have the opportunity to get some light fixtures and features that might not otherwise be available to you. Your choices should be higher quality than what is available when shopping at your local big box home improvement store. A good contractor will have some creative recommendations based on the specific style and needs of your home landscape. 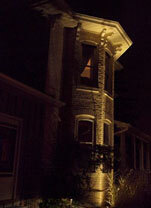 Recent years have brought dramatic advances in lighting efficiency and technology. 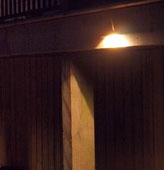 Light-emitting diode (LED) lights are becoming common for all types of outdoor use. LED lights are much more efficient than any other type of light. The cost of the energy required for LED systems is insignificant. An automated control system will also save you money and make life easier. Smart technology for your outdoor lighting should include timers for your lights to turn them on and off when needed, and a straight forward system for overriding your day-to-day setting if necessary. Part of your contractor’s service should include programming them for you, & training you in their use. A little bit of research and investigation will help you select the best landscape lighting contractor for your project. That upfront investment makes the rest of the process much easier. Working with a good contractor can be an enjoyable experience. The result should be landscape lighting customized to meet your needs, providing years of enjoyment and enabling you to spend more time outdoors. If you’re interested in getting a consultation for your project from Moon Glow Lightscapes, contact us today.